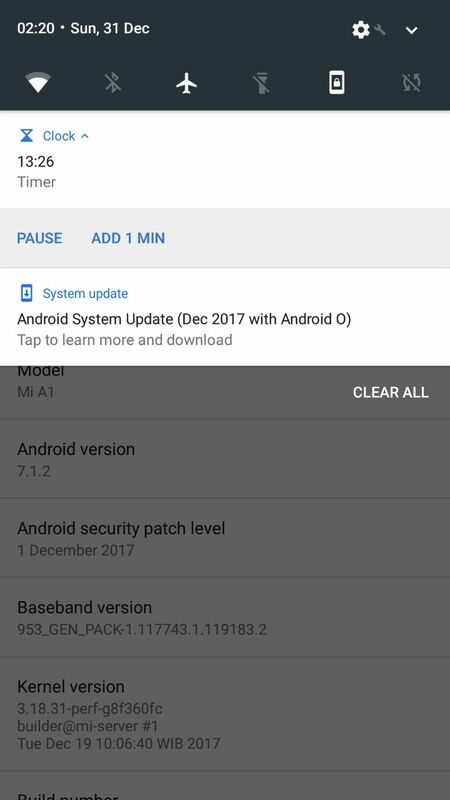 Xiaomi has been testing Oreo on the A1 through a public beta test for at least a week. The finished update is gradually rolling out, which probably means many phone owners won't get it before the end of the year (considering that's... tomorrow). Still, Xiaomi did deliver on its promise, if only by a vary narrow margin. If you're impatient, you can download the recovery and fastboot zips here and try to flash it yourself. 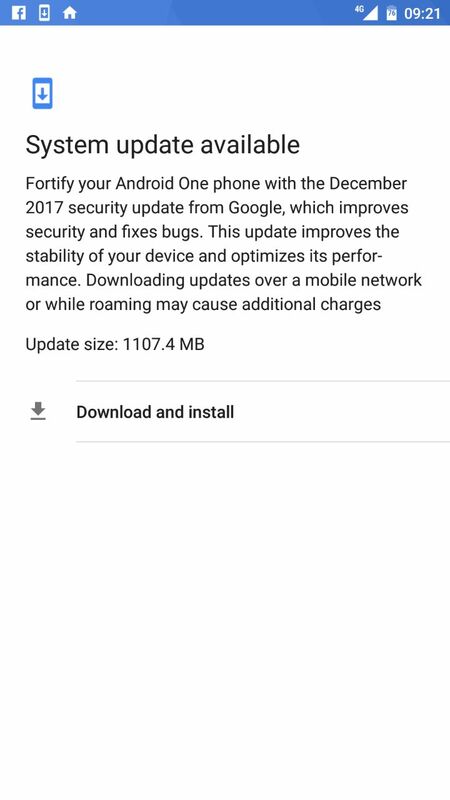 The update comes in at just over 1.1GB. In addition to all the changes that Oreo brings, this update also switches the A1 to the Google dialer and contacts applications. As we covered previously, the OTA also enables quick charging. 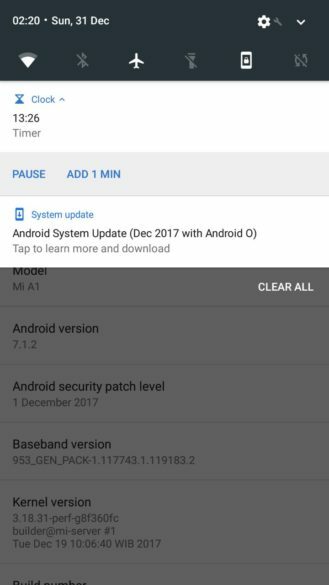 Similarly, OnePlus promised to update the OP3 and 3T to Android Nougat by the end of last year, and the update started rolling out on December 31. 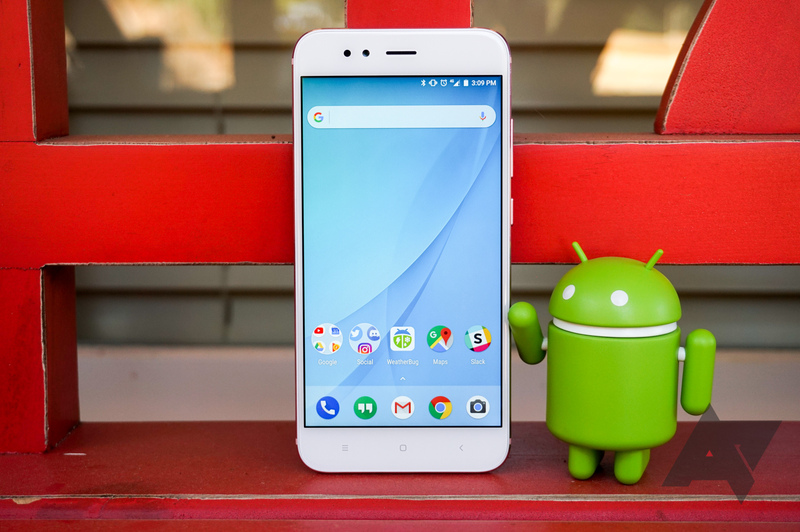 Here's hoping Xiaomi can get the A1 on Android 8.1 soon.